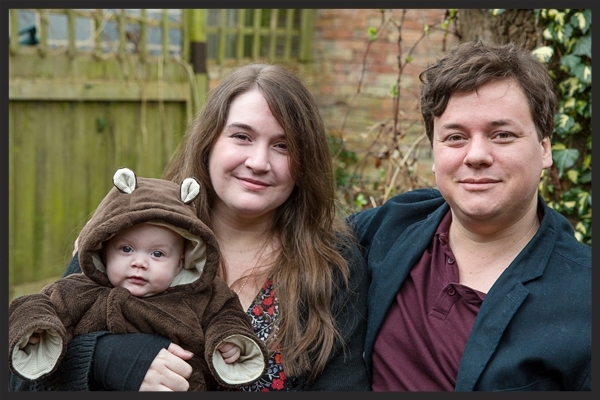 We'd like to welcome our guest blogger for this week, James Catchpole of The Catchpole Agency. 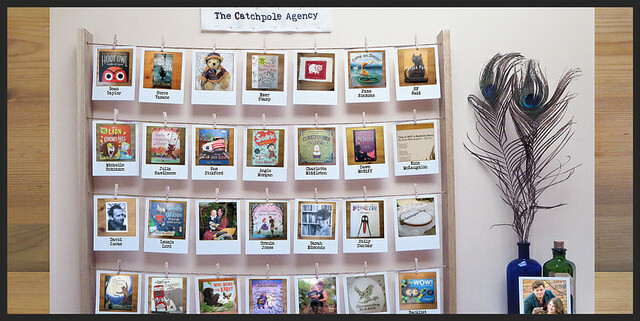 The Catchpole Agency which represents authors and illustrators of children’s books from picture books up to YA. James is the agent. Lucy prefers to keep her role mysterious. This is a story about a side of publishing authors probably prefer not to think about. It may have a moral, but if it does we don't know what it is. It may be a cautionary tale of sorts, we don’t know - we haven’t got to the end yet. Sometimes an author has a really great idea, one that seems to spring almost fully formed, that makes you wonder "how hasn't this been done before?" Sometimes, that’s because it has. So as an agent, I check. This particular idea - we'll call it 'This is NOT a Happy Agent' for now, because using the real title would scupper any chance of a happy ending - had not been done before. It was 2012 and this was an original idea for a picture book text, with an original title - a title that ran through the thread of the story, a title that summed up the text and was repeated like a fabulous, memorable refrain. One you could imagine children chanting along with their parents. Agents may be characterised as soulless money people, but don’t believe it - it is exciting when you see a text like this. And especially so when, as in this case, it was by an unpublished author (let’s call him, er… Dave) who I’d only just pulled from the submissions pile. I thought this story could (nothing is sure in this business) break this young author. I read it to my wife. She was impressed. She is not easily impressed. So I did what an agent does - I took this shiny new text around to all my best contacts. I took it to Bologna and read it out to all the major publishers. Sure enough, it was pretty damn popular. Some editors passed on it regretfully, others held on to it gleefully and passed it around the office - to their team, to Sales, to I don’t know who else. That’s the way this business works. Reading this back in the context we’re now in, it seems strange to me that the industry does work this way. A new author, an original idea, and what do I do with it? I go and shout this original idea around the assorted editors of New York and London. But until this month, this way of working hasn’t ever seemed strange to me. This is just the way it is. The industry works on trust. It has to. 'This is NOT a Happy Agent' (ahem) was indeed bought - back in 2012 - by a big US publisher (hooray!). I was excited, the author was excited. And then, for various reasons unrelated to the quality of the text, things kinda stalled. The editor who’d bought it moved elsewhere, the illustrators the new editor wanted weren’t available... Now, in 2016, they’re still looking for an illustrator. Frustrating, but not hugely surprising - it’s the way it goes sometimes - picture books can be a long game. Skip forward to two weeks ago, when something odd happened. “Isn’t ‘This is NOT a Happy Agent’ one of Dave’s books?” my wife shouted through to me. Yes, so? “Then why is there a photo of a book on Twitter called 'This is NOT a Happy Agent', by someone else entirely?’ Oh. I had absolutely no idea. I knew this couldn’t be our author’s book. But sure enough there it was - a photo of an advance copy of a book with exactly the same title, but with another author’s name, sitting on Twitter. I know the editor who’d posted the picture well (she’s lovely btw). She works for a big London publisher - er..Goliath Kids UK? that'll do - which is actually the sister company of Dave’s publisher in the US. So here it gets murky. Because as I said, I showed 'This is NOT a Happy Agent' to everyone. In fact, I’d read it out to Goliath Kids UK back in 2012, and discussed it with their editors a few times since. So what had happened? A quick search told me that yes, Goliath were bringing out 'This is Not a Happy Agent' - by their own author (let’s call him John Smith) - in March. 6 weeks’ time as of writing. I emailed the editor and her boss. They were clear: the title was not their author’s idea, it had come from within their own team. I suppose they didn’t want me to think their author might have plagiarised it somehow, from mine. This hadn’t crossed my mind – they’d never met, I’d checked. And anyway, much more logical to suppose it was Editorial’s idea, given they’d actually heard the title before. I reminded them. They seemed to take it in their stride. So would they change their title? No. To say this is frustrating is an understatement. 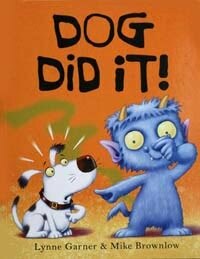 Whether consciously or unconsciously, it’s more than likely that my author’s title was plagiarised by Goliath Kids UK. What’s worse 'This is Not a Happy Agent' seems in no way organic to their story. Their story is totally different to ours. Applied to theirs, it’s just a catchy title, whereas it runs through ours like words through a stick of rock. But if Goliath go ahead and publish, Dave’s title will most likely have to change - can you really have two picture books with identical titles coming out within a year or two of each other? And in losing the title his story will lose a prime part of its cachet. Dave has had other ideas since then, and after a couple of years of trying, late last year I suddenly sold four of his texts in as many months to two top London publishers. I’m sure it’s going to happen for him. But now I'm starting to wonder...the four texts I've just sold were seen by other publishers besides the ones who bought them. What's to stop their titles or their ideas being stolen before they come to be illustrated and published? How should I advise my author? What should we advise our many other authors, all of who rely on this same trust? Perhaps this trust doesn't really exist. These are all good people we’re dealing with here, and we all know how easy it is to come up with someone else's idea while believing it's your own...But that's why you check. Perhaps there just aren’t any systems in place within publishers to stop things like this happening? And once they have - as in this case - it’s just handed over to Legal (watch this space…). But can it really just be a question of whoever publishes first? That all feels rather Elizabethan. Or does it happen, and we just don’t hear about it? Am I breaking some unspoken rule of the industry in discussing this? (Maybe!) Do I need to guard my clients’ ideas more heavily in the future? In that case, maybe all that will prevent a publisher from plagiarising is the threat of reputational damage? In which case, perhaps the best thing I can advise a new author to do is the most counter-intuitive. Should they actually go public? Should they blog and tweet about the titles they’ve sold, put it all out there on public record online? (Not unprecedented, these days...) Should they not rely on privacy and trust, but lay down a challenge: here are my ideas, here I am laying claim to them. That could present a whole lot of new problems for the industry. But I suppose at least it would take a brave publisher to claim so publically an idea that wasn’t theirs in the first place. P.S If a picture book actually called 'This is NOT a Happy Agent' appears in the bookshops, you heard it here first - we will be cross. 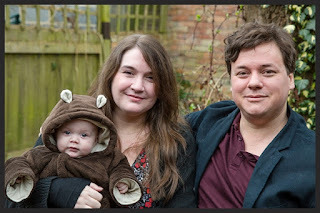 Click here for aother guest blog post by James Catchpole. Let's hear it for Matt de la Pena, Christian Robinson and Last Stop on Market Street. It's the first picture book in donkey's years to win the Newbery Medal, which is awarded to the author for the 'most distinguished contribution to American literature for children'. 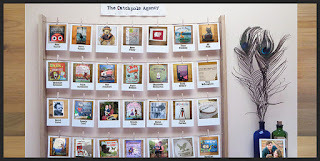 Congratulations to Christian Robinson, the illustrator, for also getting a Caldecott Honor Award for the same book. 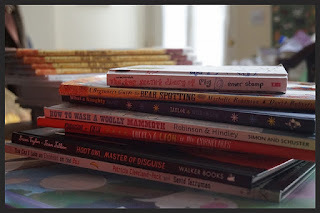 Whereas picture books, as opposed to illustrated books for older children or longer works of fiction, winning the Newbery are as rare as hen's teeth. None this century till now, as far as I can see, and precious few before that. So isn't it wonderful to see a book for 3-5 year olds beating all the big hitters of children's and young adult fiction just for once! Doesn't it give us in the picture book community, particularly us writers, one great lift! I wonder will it ever happen in Britain? Because the parallel prizes here (and similarly the most prestigious) are the Carnegie and the Kate Greenaway Awards. The Greenaway goes to the 'outstanding book for children in terms of illustration'. So, generally, picture books. And, until now, awarded only to the illustrator - though that's about to change due to the sterling work of Sarah McIntyre, who also successfully campaigned for the illustrators of nominated Carnegie books to be included in the Carnegie listing. Nevertheless - the Carnegie Award goes to the 'outstanding book for children.' So couldn't that, just once in a blue moon, be a picture book for young children? But how many times has it been, in the eighty year history of the award? Never, unless I'm very much mistaken. 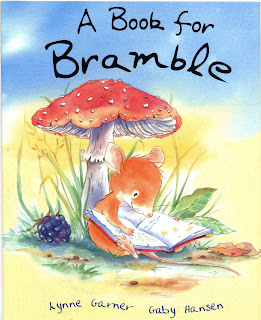 Are picture books not as good as longer books for older children, I wonder? Are they just not as well written? Can they only be outstanding 'in terms of illustration'? Not in terms of the writing, or in terms of both writing and illustration together? 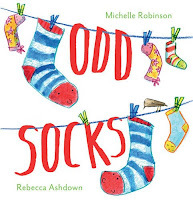 Shouldn't it be possible that the 'outstanding book' of the year in Britain, at least once in a very blue moon, is one for young children, as it is on this occasion in America? Shouldn't it be possible, in fact, that a picture book for young children could win both the Greenaway and the Carnegie (as A Monster Calls famously did, in 2012, for Patrick Ness and Jim Kay?) Now wouldn't that be something to celebrate? 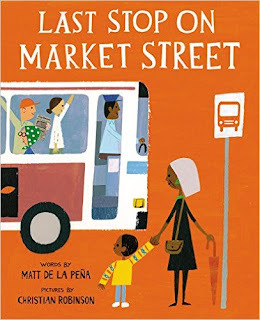 Anyway, let's hear it for Matt de la Pena and Christian Robinson! 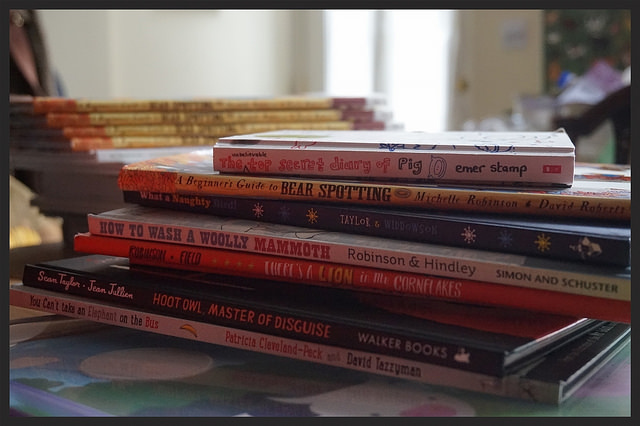 Let's hear it for picture books! I look back to when I was an aspiring author, smile and ask myself "how did I ever manage to get published?" Apart from being able to string a few words together I knew nothing about the business of becoming published. Yet somehow I managed to become a published picture book writer. However if I knew then what I know now my journey would have been a shorter one. So to reduce the length of your journey here are my top ten tips for writing a story a commissioning editor will hopefully love. 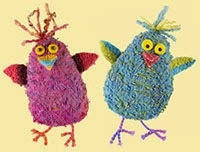 Listen to how children speak, what they talk about, the worries they have etc. All of this can be used to fuel your work and ensure you're writing stories children will enjoy and relate to. When writing be aware of your audience and use appropriate words. Don't use 'grown up' or long words when short will do. I hope these tips help and good luck with your writing. If you're a published author and you have your own tips please do add them to the comments below. My latest short story collection - Coyote Tales Retold is now available on Amazon in ebook format. Also available Meet The Tricksters a collection of 18 short stories featuring Anansi the Trickster Spider, Brer Rabbit and Coyote - available as a paper back and an ebook.